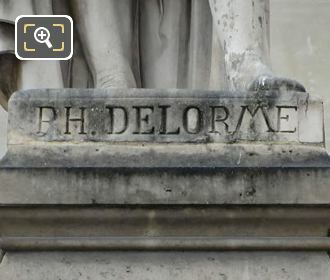 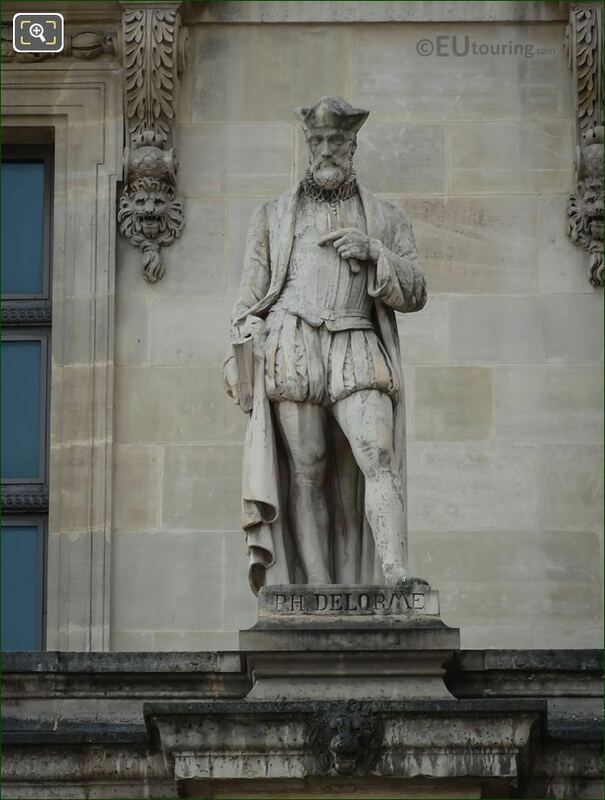 In these high definition photos you can see a statue of Delorme on the facade of the Aile en Retour Mollien section of the Palais du Louvre, which was produced by the sculptor Jean Pierre Dantan. 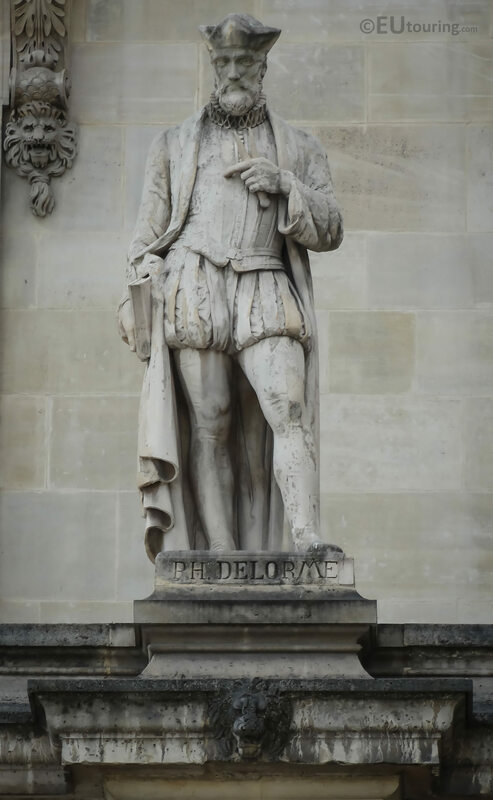 This first photograph shows the statue dedicated to P H Delorme, sometimes spelt de l'Orme, which is located on the first level gallery of statues, third from the right, on the Aile en Retour Mollien section of The Louvre, that is within the Cour Napoleon, and this particular wing faces into the Cour du Carrousel closest to the River Seine side. 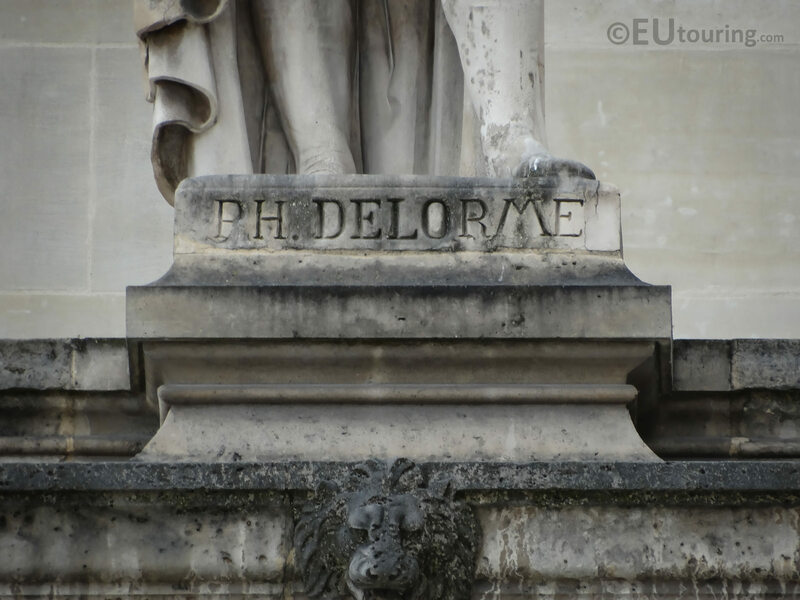 In this next high definition photo, you can see the base of the statue with the name of the person this is dedicated to, which is Philibert Delorme, sometimes spelt de l'Orme, who was born in 1510 to a family of master masons and became a French architect for King Henri II who worked on parts of The Louvre plus different chapels along with chateaux in France such as Fontainebleau. 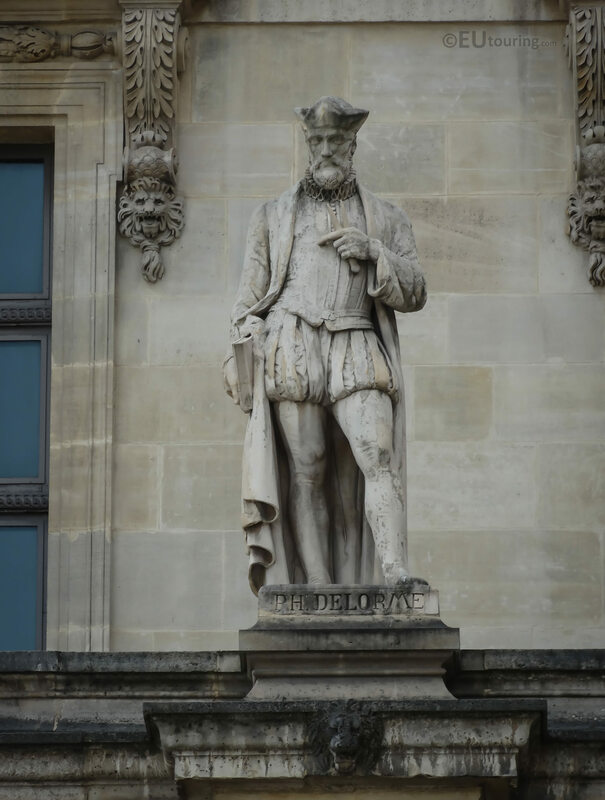 And this statue was produced by Jean Pierre Dantan, referred to as Dantan Jeune, or Dantan the Younger, who was a French sculptor born in Paris in 1800, and is most well known for his caricature busts of famous people such as writers and musicians, yet he also had a brother called Antoine Dantan who was also a sculptor, which is where some people get confused between the two artists.